Johnny T came over. 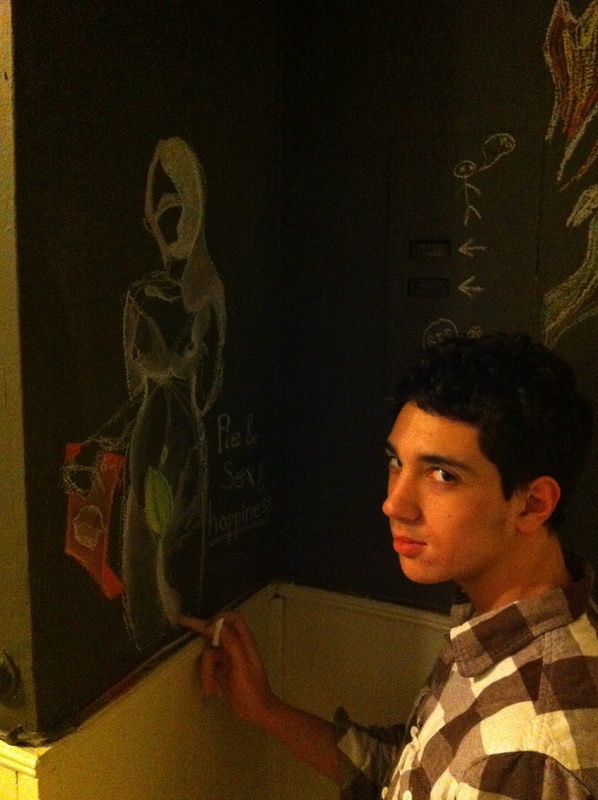 He’d seen my chalkboard walls and he wanted to draw on them. He’s a good artist! Jonny T is an architecture student here in New York City. Enjoy the drawing, jerks! Previous PostKazu’s Birthday Next PostSaturDATE!! !